The days of running around town going from store to store in search of the ideal decorative items are slowly becoming a thing of the past. Today homeowners can sit in the comfort of their own bed, wearing pajamas as they search for cheap home decor online for that elusive decorative element, without ever leaving their home. There some shoppers who are concerned that they’ll end up regretting their online purchases. But by using a few tips, you can avoid making the mistakes that some newbie shoppers fear and make sure that you’re selecting the best items for your home. Although you’d assume this is more of a problem with furniture, it can be an issue with accessories too. It’s hard to tell from a picture a lamp will hog up your entire end table or if that vase is so small it barely holds one bloom. Always check the dimensions of the product. Look for the actual dimensions, not the shipping size as that can represent the size of the box it is shipped in and not the product itself. Measure the space you want the item to occupy, too, before clicking the “buy” button. Every computer monitor is different, and the shade or brightness of a color may not accurately represent the item’s actual color. In some cases, unscrupulous sellers may actually increase the brightness or color saturation in order to make a fabric appear to be in a much richer hue that it actually is. 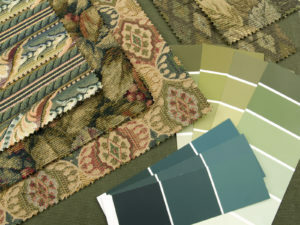 To ensure the fabric will actually work with your color scheme, order a swatch of the fabric. This is absolutely essential when purchasing something expensive like a large piece of furniture. Swatches are also helpful when the fabric has a pattern to it, because the scale of the pattern can make a huge difference in how much you like it in your home. You might be so taken with that charming accessory that you might not thing about how delicate it is…until your cat has knocked it over and smashed it to smithereens. Read the description of the item well and check out the reviews to find out how other customers felt about the item’s durability and construction. Avoid cheap furniture that may be easily dented by children or could fall apart the first time you need to move it. Watch out for impulse buying. If you’re tired, or you like to shop online while drinking wine, or if you tend to make emotional decisions, you should make a 24-hour rule: no purchasing until you’ve had a full day to think about it. By sticking to this rule, you avoid the subconscious pressure from “today only” and flash sales, along with the impulse to buy first and ask questions later. Take your time and evaluate your needs, the style of your home’s design, your space, and the website’s return policy. Remember, cheap decorative items are only cheap if they’re what you really want, otherwise they’re just a waste of money. 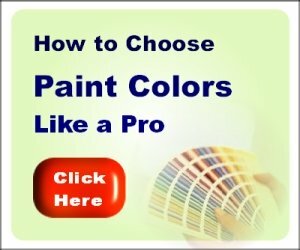 If you keep these guidelines in mind as you search your favorite website for cheap home decor online, you’ll make smarter purchases and end up with only beautiful accents that complement your home’s interior design.